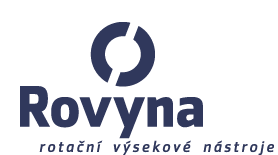 Founded in 1996, the limited-liability company of Rovyna s.r.o. has been dynamically developing ever since. 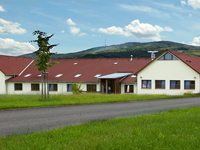 Operating now from newly built premises in Rojšín, a village in the vicinity of České Budějovice, the firm boasts the most sophisticated machinery available on the market. A specialist in the manufacture of cutting tools for rotary machines, the company supplies its products both to multinational concerns and to private customers based in a number of European countries, e.g. Austria, Bulgaria, Czech Republic, Croatia, Germany, Hungary, Lithuania, Poland, Romania, Slovakia and Slovenia. Moreover, we offer custom-made items for the tool shops of our clients (benders, notching machines, shear cutters, cylinders, cylinder stands, and similar implements...).